Even international Vogue has cottoned on to the wonder and source of joy that is Carnival. 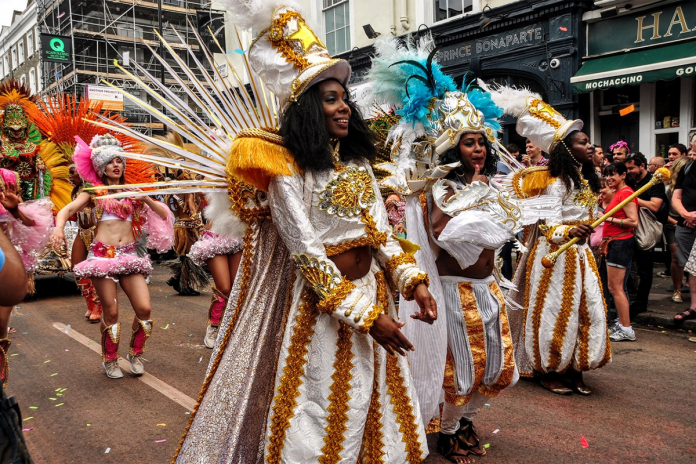 Last month, the magazine published an article online detailing five Caribbean carnivals not to be missed, and, alongside Grenada’s Spice Mas, Barbados’ Cropover and Bermuda and Saint Lucia’s carnivals, our very own Notting Hill spectacular was one of them. The article, which also includes a short glossary of important carnival-relevant terms such as ‘wine’, ‘soca’, and ‘de road’, describes each of the events in a paragraph accompanied by a vibrant photo.